We siphoned the best of our plum port and aged it with the wood to become a reserve with smooth, buttery, caramel flavours that is subtly special. We are not your typical NZ winery. We love aging our Reserve ports with NZ Native wood because once roasted the wood infuses our best quality port with its own characteristics. 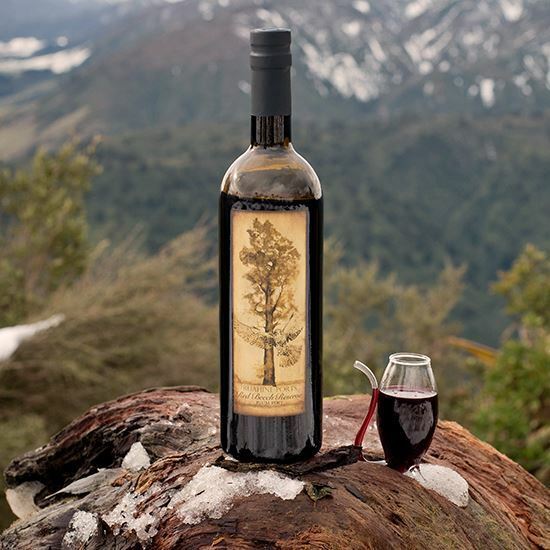 While we were driving to Hamner Springs Alisha was raving about the potential of combining our Plum Port with Red Beech, next thing we drove past a Red Beech tree, 'Tawhai Raunui', that had fallen that day, cut into lift-able pieces. So we brought it home then sliced and lightly roasted the wood. We siphoned the best of our plum port and aged it with the wood to become a reserve with smooth, buttery, caramel flavours that is truly special.